Phil Hellmuth knows how to drum up publicity and create a buzz. The legendary poker pro has been doing it successfully for the last 25 years and this time around he has good reason to be in the limelight as he is promoting his autobiography ‘The Poker Brat’. This is not the first book that Hellmuth has released. He released ‘Play Like The Pros’ in 2003 revealing his secret strategies that have helped him make it to the Poker Hall of Fame and win a record 14 World Series of Poker (WSOP) gold bracelets. The 53 year old poker pro has a number of high profile friends in entertainment, sports, media and business. He is making full use of all his contacts to promote his new book. Hellmuth was recently covered by the Wall Street Journal and also appeared on CNBC’s ‘PowerLunch’ to discuss his 25 plus years as a top professional poker player and to share insights of what readers can expect from ‘The Poker Brat’. The Hendon Mob lists his total career prize money to be above $21 million and ranks him in 8th place on the all time money list. The Poker Brat not only takes a look at his professional poker career but also gets very candid about his personal life. 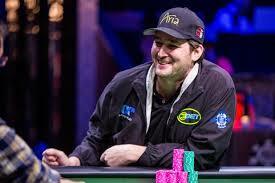 Hellmuth stated that he wanted to open up to his readers and show them the highs and lows that he has gone through in life. He also opens up about the issues he has faced in his marriage and how he and his wife managed to work through them and build a successful marriage. The Poker Brat will make a great read for amateur poker players as well professional poker players as Hellmuth discusses quite a few mental conditioning strategies that are important in building a successful mindset. One of those is ‘the power of words’ and making sure that one’s vocabulary does not contract negative words as they have a strong impact on a player’s performance and final outcome. Hellmuth also says in his book that the top poker pros can also make a ton of money in other areas outside of playing poker and discusses a few of them. Hellmuth also went on Doug Polk’s podcast and spent close to two hours discussing his life and promoting the book. The hall of famer is also schedule to deliver a speech at SXSW 2018, which is a global event that brings together the top professional and creative minds in the IT, music and media industry. This entry was posted on Wednesday, August 16th, 2017 at 5:13 am and is filed under Interviews. You can follow any responses to this entry through the RSS 2.0 feed. Responses are currently closed, but you can trackback from your own site.